Plan to bring your family to school in costume this Saturday, October 28th, from 4-7 pm for carnival games, fun and loads of prizes! All proceeds from this event will go toward sending 4th and 5th graders to outdoor school. Bring a spouse, grandparent, friend or older student to enjoy the fun and even run a game for an hour! There are more teachers planning to come and help than parents, so let’s change that equation! Call or email Sheri and let her know you can help us make this happen! 3) Sign up! It’s Easy – you will NOT need to register an account or keep a password onSignUp.com. Thank you all as always for your help! You are receiving this email because of your relationship with EWING YOUNG ELEMENTARY. If you wish to stop receiving email updates sent through the Blackboard service, please unsubscribe. Once again, our 5th grade students represented EY well with excellent behavior, sportsmanship, and teamwork at the Newberg 5th Grade Track Meet. Our students also gave their best effort on the field and the track, and there were many ribbons earned. Great job, 5th graders. Click on the link below to view several photos of the event! Chehalem Parks and Rec is looking for students entering 6th grade this fall to help out with their Safety Town program for 5-6 year-old children. If interested, the information and application is attached. 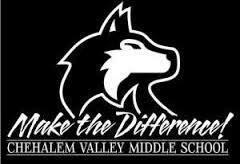 Just a reminder that Parent Night for incoming 6th graders is next week on Thursday, March 5th, from 6:30-8:00 pm at CVMS. Today our 4/5 students were treated to a visit by some very special people. Historical novelist, journalist, and producer, Andrew Buckley from Chatham, MA, visited our students today to share details about his Boston-based TV series, Hit and Run History: The Columbia Expedition. The seeds of this visit dates back to 2008 when our 4/5 students that year produced videos using iMovie about Pacific Northwest Sea Explorers. Mr. Buckley had recently written a book about the ship Columbia and was conducting research the development of a TV series. In his search, he came up on the Ewing Young videos and this served as an inspiration for him to pursue his project. Presently, Andrew, his 10 year old daughter, Sophie, and his production crew are filming and interviewing for a segment about the Columbia’s expedition along the Oregon coast. They drove over from Tillamook to visit our school before heading back over to Astoria to be part of the replica ship, Lady Washington’s entrance to the Columbia River this week. In addition, his daughter, Sophie, is part of a web-based TV series of her own titled, China: Through My Eyes. Sophie shared about her series, her visit to China, and about her other worldly travels. Some video footage was taken and it is estimated that the segment will be shown on Boston’s WBGH- TV in the fall. Since we don’t get that station around here, we’ll be able to view the segments on the Hit and Run History website when it is posted later in the year. Here is one of the student videos from 2008 that set the whole visit today in motion.